Glucose control system with high bioavailability HCA, containing guard citrine. GCS750 supports a healthy diet with an excess carbohydrate intake period. It is a form of HCA with the highest bioavailability, containing guard citrine ®. 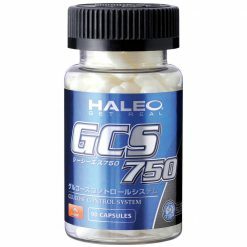 Alpha lipoic acid and a 40% standardized extract of the unique amino acid 4-hydroxy isoleucin have been added to further enhance the dietary benefits of GCS750. 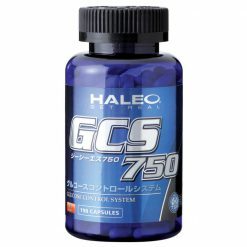 GCS750 has been developed to help athletes lose weight in conjunction with a low-carb diet. It is also helpful for athletes undergoing a carbohydrate loading period to boost endurance, as well as those consuming extra calories to build weight. GCS750 can also be taken immediately prior to “cheat” foods. When combined with Ignite and an appropriate nutrition and exercise program, GCS750 functions optimally to supplement your diet. Take 3 capsules per serving, 1-3 times daily. 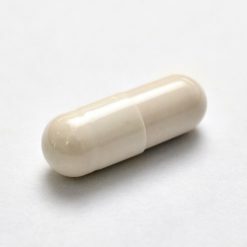 Take 3 capsules before a high carbohydrate meal. Take 3 capsules with a high carbohydrate beverage after exercise.